This is a repost from my personal blog. 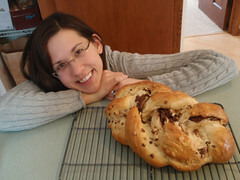 The Hazz and I have been on a kick lately to try out some new and fun challah recipes. 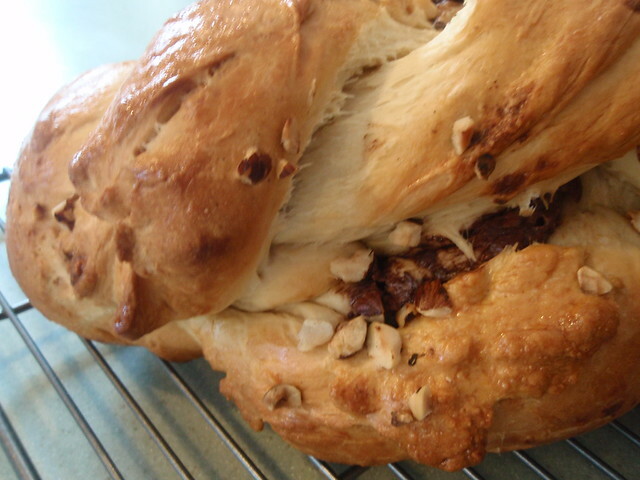 This sometimes entails trying them out on guests or making them on the wrong day of the week as experiments... Ever since enjoying Nutella crepes in Paris, we've had a great time eating Nutella... on pretty much everything. 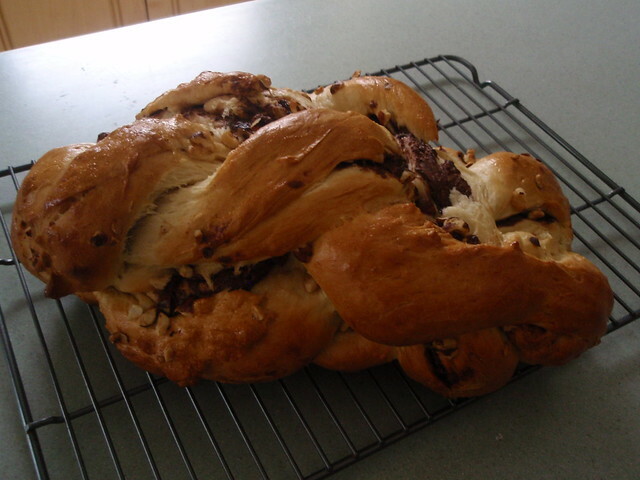 Anyway, Nutella Challah was a MAJOR success. And by major, I mean GIGANTIC. But luckily, since its not for a dinner, we could dive right in. Score!!! And even better, the dinner tonight is milchig, so we can come back home and eat more. 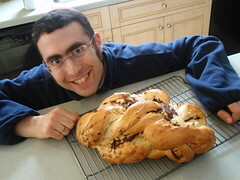 The Hazz's pumpkin challah is in the oven now. 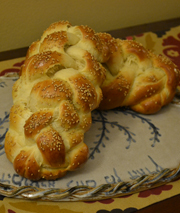 More on that after Shabbat!